Oregon grows about 6 million Christmas trees each year; more than any other state in the U.S. About 90% are shipped out of state, to California, Mexico, Canada, Texas — “pretty much everywhere west of the Mississippi,” said Casey Grogan, president of the Pacific Northwest Christmas Tree Association. Every year, the country’s appetite for Oregon-grown Noble- and Douglas fir trees puts a strain on shipping capacity. Normally there’s a low demand for trucks in the Pacific Northwest — not in November and December, though. Trucking rates are up 30% since October. The state of Washington is also a big Christmas tree producer, ranking third after North Carolina, the nation’s second-largest Xmas tree grower. This week is the busiest of the year, Arkills said, as the farm prepares and ships trees to retailers, who sell almost 40% of trees the first week in December. Holiday, which planted 1.2 million trees this year, also ships internationally to the Philippines, Aruba, Guam, Mexico. “Typically, refrigerated rates out of the Pacific NW start to rise as early as September, and increase through the end of the year,” Silver said. A seasonal price uptick may be the norm. But the economics driving the Oregon Christmas tree industry have changed pretty dramatically over the last 10 years. The number of growers is about half of what it was, Arkills said, and the annual harvest is down two million trees to around six million trees a year. The sector went through a period of oversupply when growers state wide were planting 10 million tree a year while only harvesting 8 million. These extra trees came onto the market during the recession, and the result was lots of unsold trees and a drastic lowering of prices. 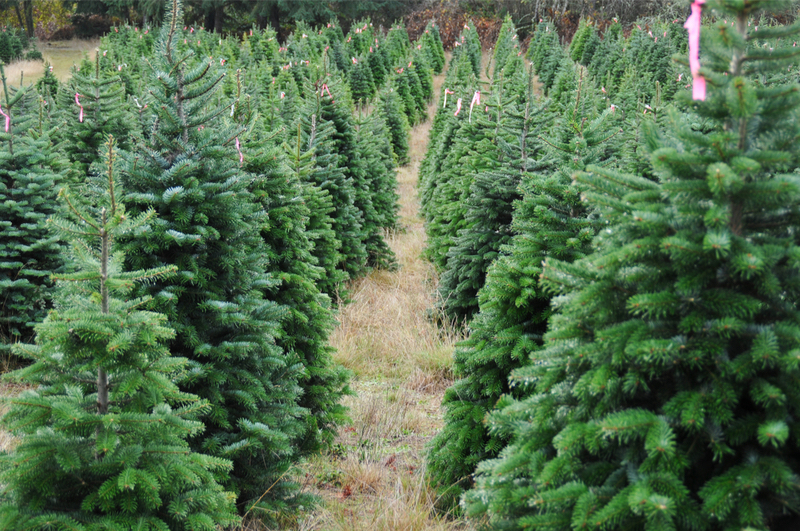 Many Christmas tree farms did not survive or chose to get out of the business. The Pacific Northwest Christmas tree association has 270 members, down from 500 before the recession, Grogan said. Arkills said the new E-log rules mean growers have had to be more flexible in delivery appointments. “Often time you get a truck loaded only to discover they are out of hours and won’t be able to get to the store when scheduled,” he said. Holiday has an advantage in that the wholesaler operates a year round brokerage shipping nursery products primarily out of Florida. This allows the farm to develop year round relationships with large and small carriers that we can utilize during our shipping season, Arkills said.